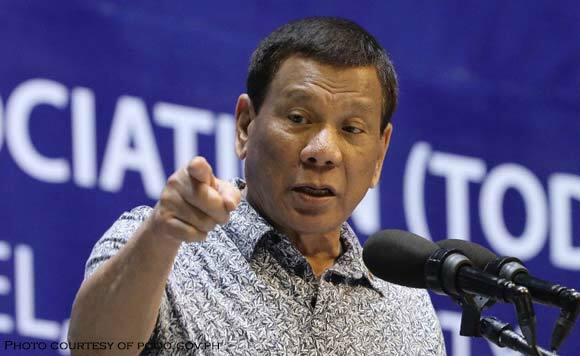 President Rodrigo Duterte is insulted that Manila-based media thinks he’s dirt poor and focus their reporting on his alleged unexplained wealth. Duterte said that he and his siblings were still counting how much their mother, Soledad, left them when she died February 2012. For Duterte, what he and his children invested outside of their government posts were “none of the business” on media. “They (media) didn’t even ask, but four years ago my mother died. They still don’t know how much she left us with.My mother owned an ice plant, a sawmill, and operated a logging business. That’s the story there,” said Duterte in a speech in Bukidnon. “But those from Manila, particularly Rappler think that I am really that poor. If you come from a poor family and you have body odor for being so poor… Stop being so silly,” he added. Duterte and his chidlren have been accused of keeping secret bank accounts and misdeclaring their true net worht in their statements of assets, liabilities and net worth (SALN).